We have moved to a new all in one patient portal and payment system for both FCMC and Willow Valley Medical Clinic. During the transition please choose one the options below that best describes your visit (before or after October 30, 2018). We strive to provide our patients excellence and hospitality in patient information and billing. 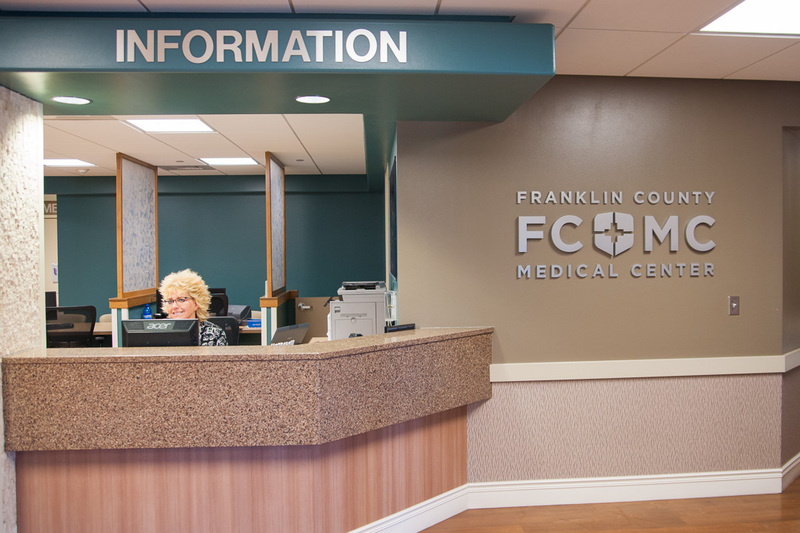 Franklin County Medical Center asks for payment upfront for your share of the bill, as most businesses do. This might include co-payments, co-insurance, deductibles, and services not covered by your insurance program. For your convenience, we accept cash, check, debit and credit cards, money orders, as well as American Express, Discover, MasterCard and Visa credit cards. FCMC accepts most insurance plans, and as a courtesy to our patients, we will file a claim directly with your insurance company. After filing the claim, the Business Office will follow-up with the claim payment status. If no is received payment from a patient’s insurance provider within an appropriate time, we will bill the patient for services. If there are any questions or concerns regarding the insurance payments or the statements received in the mail we encourage the patient to contact the Business Office. You will be registered as “private pay” during registration, which means you are responsible for paying the entire bill. We require patients to present Insurance Cards at every visit. Please tell us if your visit is a result of an auto accident or work injury the day you come to FCMC. We will follow-up with the appropriate party to acquire a claim number. On these types of visits, your health insurance will never be billed primary. To request payment from your health insurance carrier, we must provide a letter from the primary payer that all funds have been exhausted or denied. Patients who do not carry health insurance are considered private pay accounts. For private pay accounts payment is due at the time of service. If we do not have the exact amount due at time of service, we will require a deposit. The deposit may vary, depending on the particular type of service. A nurse will assess ALL Emergency Room (ER) patients. The ER Nurse will establish the order in which patients will be seen based on a professional assessment of the patient’s symptoms and vital signs. Vital signs taken include blood pressure, temperature, respirations and oxygen levels (when necessary). All patients are billed for this professional service. Wait times vary depending on the number of patients and the severity of each patient’s medical needs. Co-payment is due at the time ER services are provided.